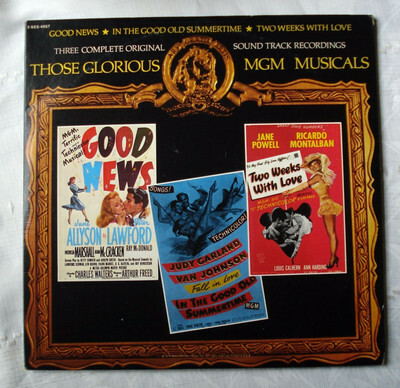 The MGM musical TWO WEEKS WITH LOVE (1950) is a delightful Technicolor confection and a perfect family movie. Eventually there was a nice "full circle" for me with this movie, as when my oldest daughter was little she loved the movie too, and she loved to play a cassette tape I made her of the soundtrack and sing along with "Aba Daba Honeymoon"! In TWO WEEKS WITH LOVE the Robinson family arrives for their annual vacation at a resort in the Catskills, but for the family the times are noticeably changing. 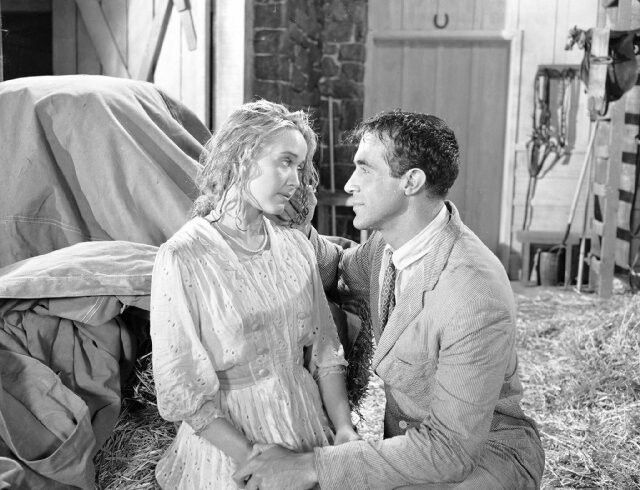 Patti (Jane Powell), the oldest daughter, is 17 but self-conscious about still dressing like a teenager; she wants to wear long dresses and a corset like glamorous actress Valerie (Phyllis Kirk). Patti feels especially awkward after she develops a crush on handsome Demi (Ricardo Montalban), another guest at the resort. It's a slender plot yet suffused with real and recognizable emotions, whether viewed from the perspective of a young girl trying to grow up or from the point of view of the parents. With our younger daughter having married in August, the parents' final conversation about their daughter growing up and getting married struck a deep emotional chord with me. I've always wondered if the filmmakers behind DIRTY DANCING (1987) saw this film, as the setting and general themes are similar, up to and including the couple sharing a dance in a talent show at the end. It's all told in wonderful color, with gorgeous costumes by Helen Rose and Walter Plunkett which are total eye candy. 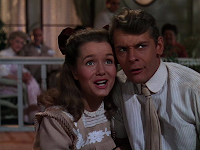 The tunes start in the very first scene with Jane singing "A Heart That's Free," and another delightful song appears every few minutes. Besides "Aba Daba Honeymoon," my favorite scene is all the young people at the resort dancing to the "Oceana Roll," a scene which is pure joy. (Busby Berkeley choreographed.) 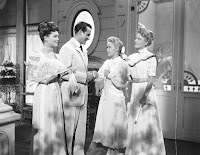 A boating scene features various characters singing "By the Light of the Silvery Moon," and Debbie and Carleton have a second great number with "Row, Row, Row." 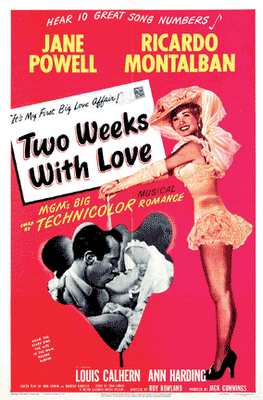 Jane Powell is charming as Patti, on the brink of womanhood; she turned 21 the year this was released and was about to transition into adult roles with ROYAL WEDDING (1950) later that year -- although in real life she was ahead of her screen character, having married the previous year! Like Jeanne Crain's MARGIE (1946) of a few years before, Patti is gaffe-prone yet utterly charming, catching the eye of an older man. Ricardo Montalban is likewise wonderful as the debonair Demi, who is clearly delighted by young Patti, thought he's not quite sure whether to treat her as child or woman, especially when Valerie tells him he's "robbing the cradle." 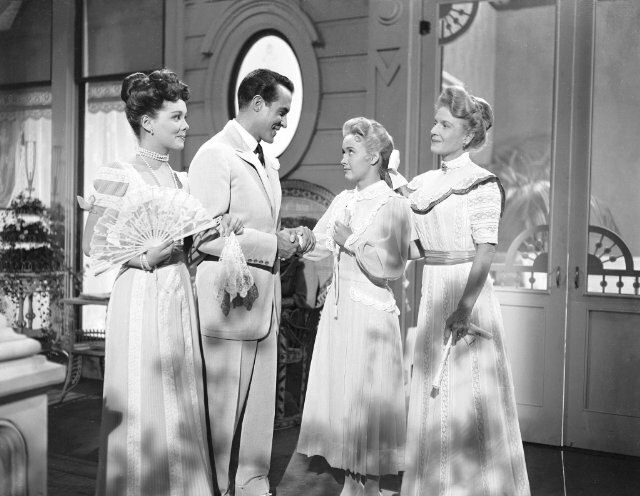 Montalban also has the chance to perform an elegant dance with Powell; he was a wonderful dancer in a few MGM musicals, and I only wish he'd had more opportunities to demonstrate that talent on screen. 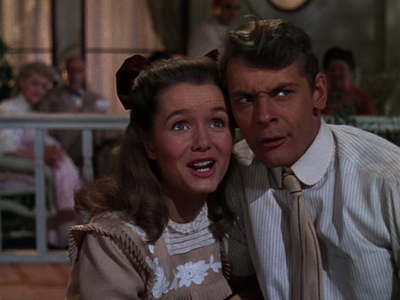 This was a very early role for Debbie Reynolds, and it's one of her best, capturing her effervescence and natural talent as a comedienne along with her singing ability. The previously mentioned "Aba Daba Honeymoon" is a colorful, energetic delight. Incidentally, Powell and Reynolds celebrated their joint April 1st birthday on the set; a photo is here. The supporting cast includes Clinton Sundberg and Charles Smith. 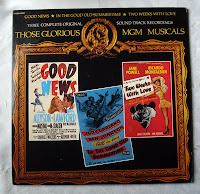 Roy Rowland directed, with photography by Alfred Gilks. This post is dedicated to my dad, a Jane Powell fan who has encouraged me to revisit more of my old favorites and share them with my readers. I spent a wonderful 92 minutes watching this with a smile on my face, and I recommend that those who don't yet know this most enjoyable film seek it out. 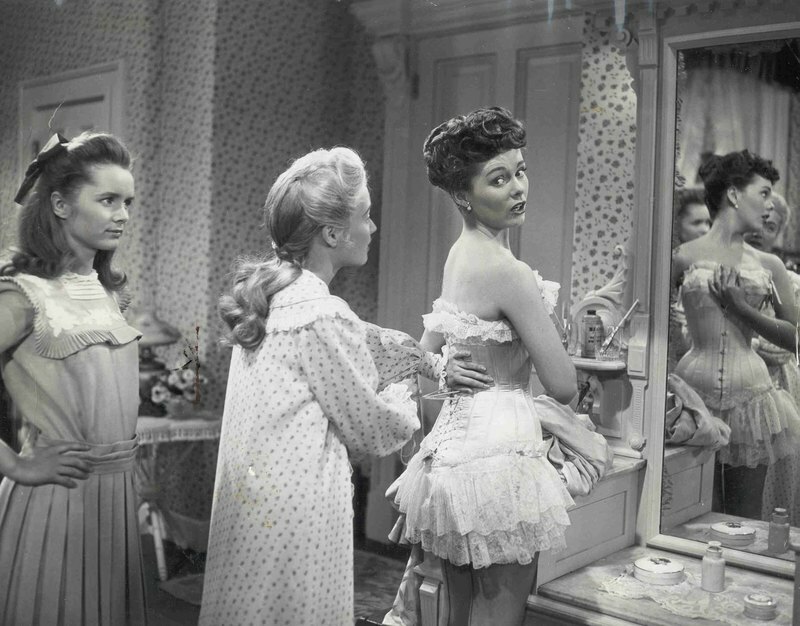 Coming in a couple of weeks: A review of Jane Powell in the newly remastered Warner Archive release of THE GIRL MOST LIKELY (1958). I saw that one as a teen at the Los Angeles County Museum of Art in the '70s -- a memorable experience in which the complete movie didn't show up and someone in the audience retrieved a print from his garage! It hasn't been available in a good print, and I'm very much looking forward to seeing it again. 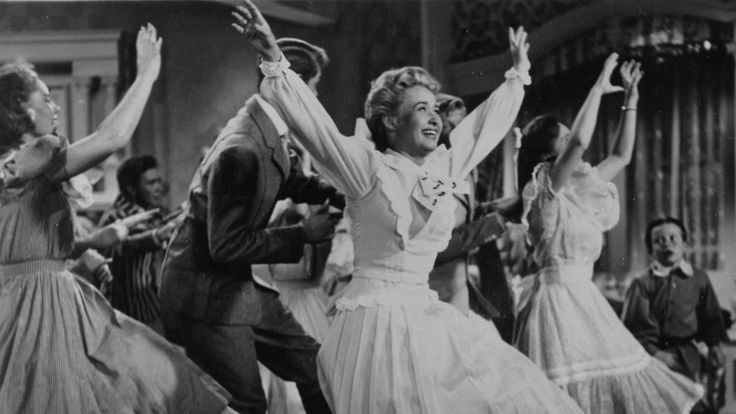 Previous reviews of Jane Powell films: NANCY GOES TO RIO (1950), RICH, YOUNG AND PRETTY (1951), SMALL TOWN GIRL (1953), and HIT THE DECK (1955). Such an adorable and good-hearted movie. The definition of "feel good". Your dad has good taste.